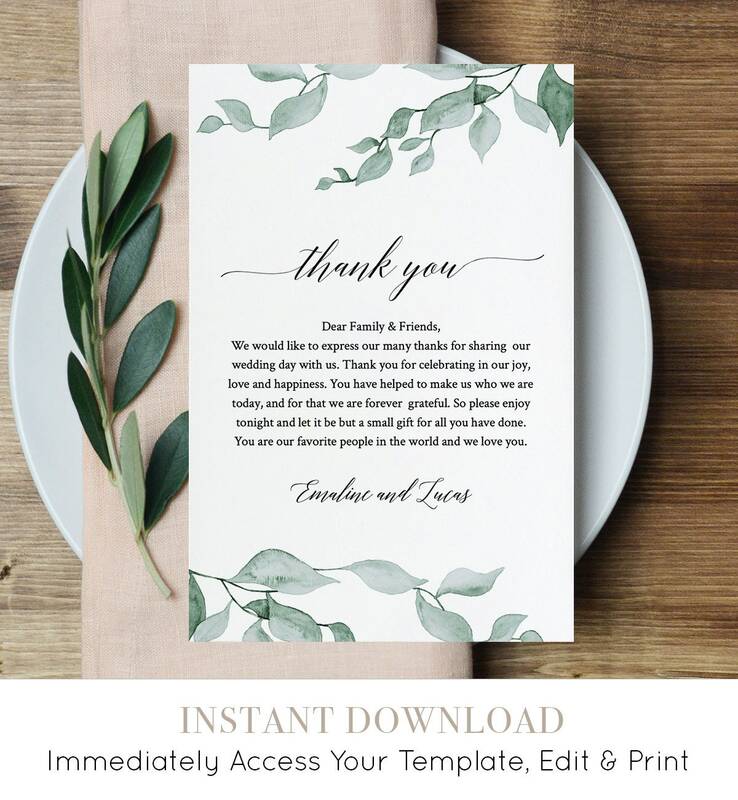 This watercolor greenery THANK YOU LETTER template features carefully hand-painted laurels and delicate greens - perfect for a bohemian or rustic style reception. "Beautiful design that's perfect for our outdoor wedding! I love that it's easily editable without needing special software. 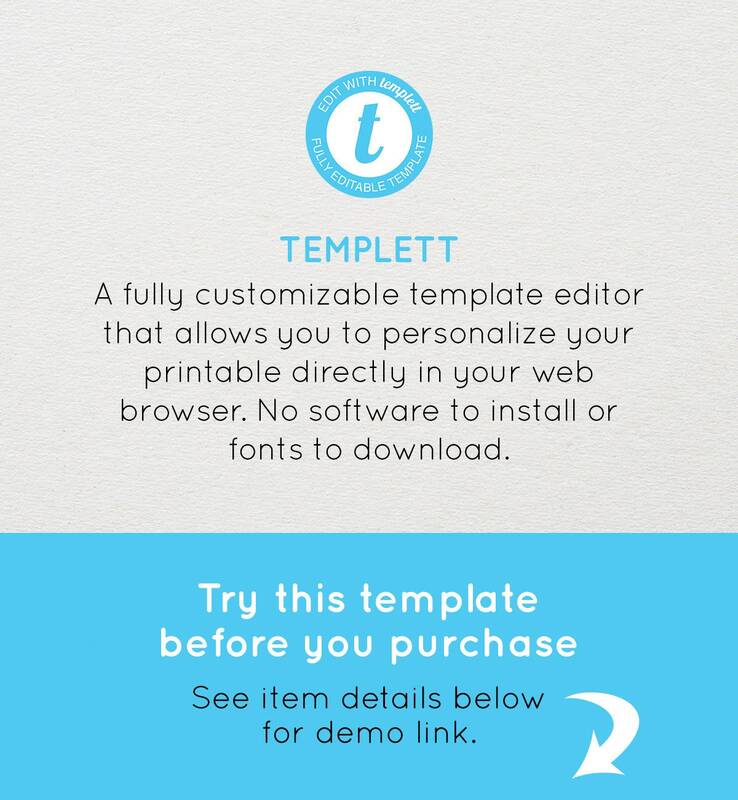 It was also really nice to be able to do a demo edit before purchasing to make sure it was exactly what we wanted. It made it really easy for us to decide. Thank you!" "Awesome. I love how I could customize every aspect of the invite. Definitely recommend!" 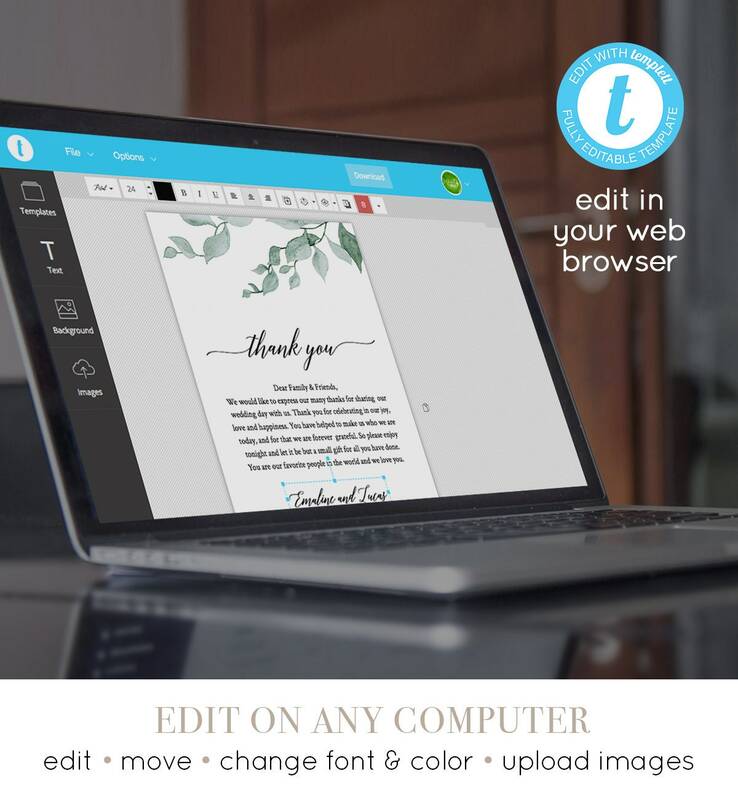 "Very easy to download and edit!! There’s one happy bride-to-be here! " 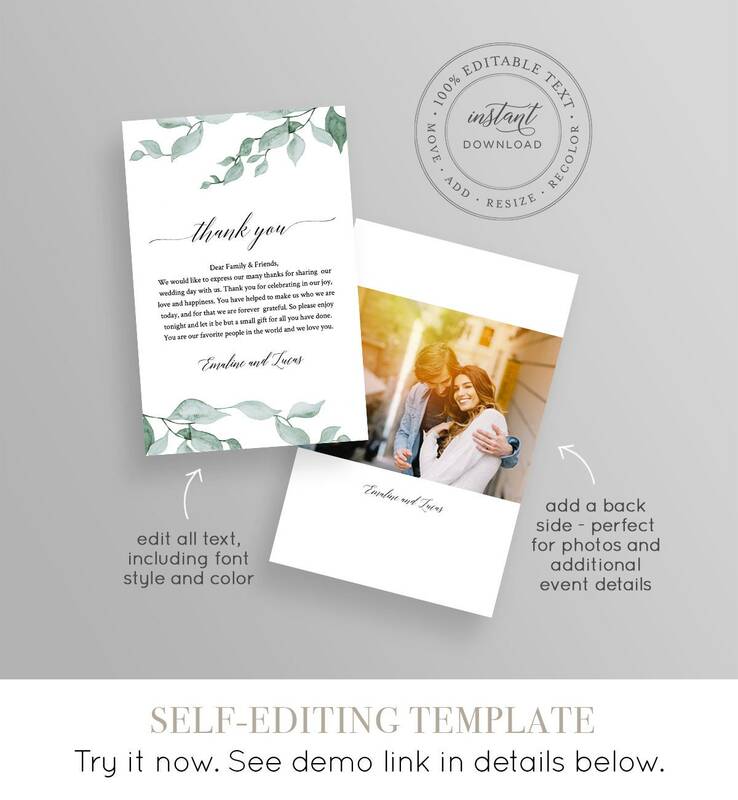 "I loved being able to use this template, but also customize my own wedding invitations within Templett! 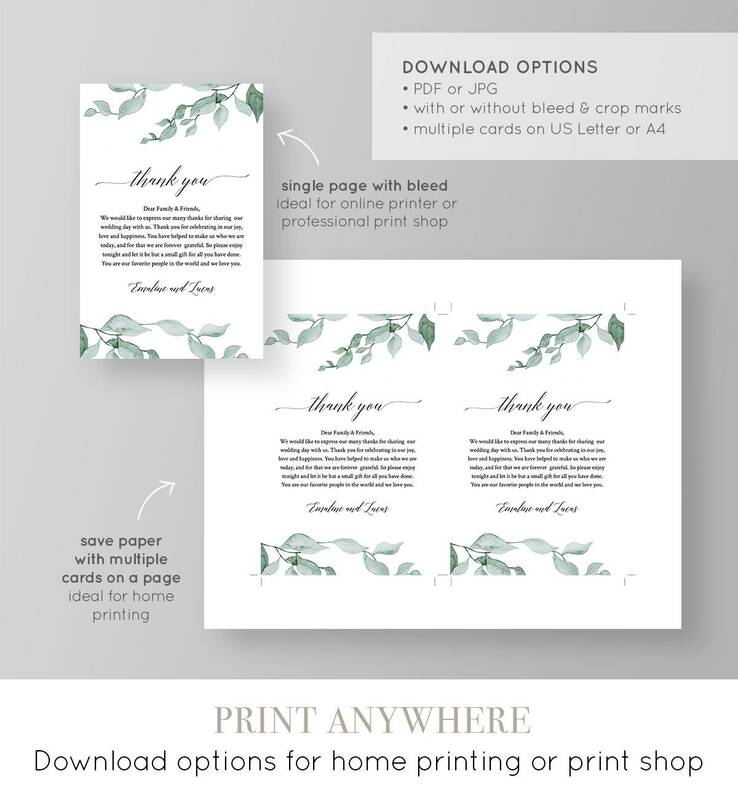 The website was so easy to use with a quick download to either print at home, or send to the printing company. Would definitely order from this shop again!" Loved the template! Used it for many things! Thanks!